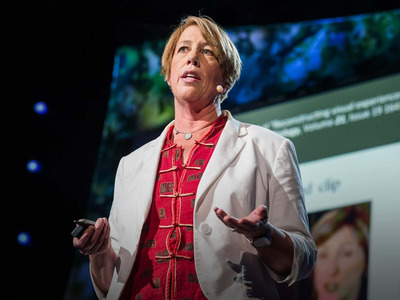 Mary Lou Jepsen left behind her successful career in the tech world – which included top executive roles at Facebook, Google, and Intel – to found Openwater, a startup focused on creating a wearable device that Jepsen says will provide MRI-resolution imaging. Jepsen gave a jaw-dropping talk at TED in April, complete with raw chicken, buckets of blood, and lasers. On a darkened stage, Jepsen demonstrated how bodies are translucent to red light, and how her optical-imaging system can scatter and capture near-infrared light to diagnose cancers, tumours, and other diseases buried deep within our own bodies. Jepsen is an inventor on over 200 patents, and has been recognised on Time magazine’s Time 100 list as one of the 100 most influential people in the world. Jepsen will take the IGNITION stage in November to explain where she is in her research and the road to productization. At IGNITION, she will share updates on Openwater’s progress and how she thinks the technology will transform the healthcare industry and society.